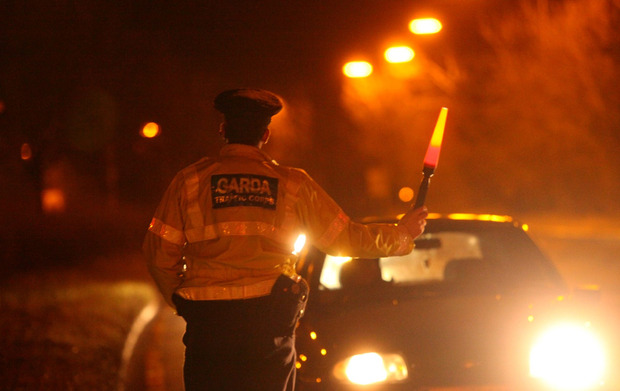 A driver in Tralee, Co Kerry, arrested as part of a Garda crackdown, was found with no tax, insurance or driving licence. The man also tested positive for cannabis in a roadside drug test and was found to be wanted on a court warrant. The man had his vehicle seized. Gardaí were out in force for a National Speed Operation and today posted ten incidents of identified violations on social media, including the Kerry driver who they joked “ticked all the boxes”. Another driver in Waterford was seen driving erratically. When Gardaí followed the car, they found it located a short distance away crashed into a parked vehicle. The learner driver was unaccompanied and had no insurance or NCT. They also tested positive for cocaine and cannabis. The driver’s car was seized and they were arrested. Another driver was stopped for various offences in Ennis Town and will await a date in court following a positive test for cannabis and a Tipperary learner driver was pulled over in Cahir for not displaying ‘L’ plates and failed a roadside breath test. Gardaí also posted several incidents of speeding caught over the weekend including one driver travelling at 92kmph in a 50kmph zone in metropolitan Dublin and another travelling in excess of 160kmph in a 100kmph zone in Abbeyfeale, Co Limerick. Other incidents recorded over the weekend included drivers using mobile phones, cars with no NCT, insurance or no tax, including one car that has been on the road untaxed for three years. Gardaí also took action against cars parking in cycle lanes and an overloaded tractor-trailer in Clare, with no brake lights or indicators visible from behind and with the load not tied down.